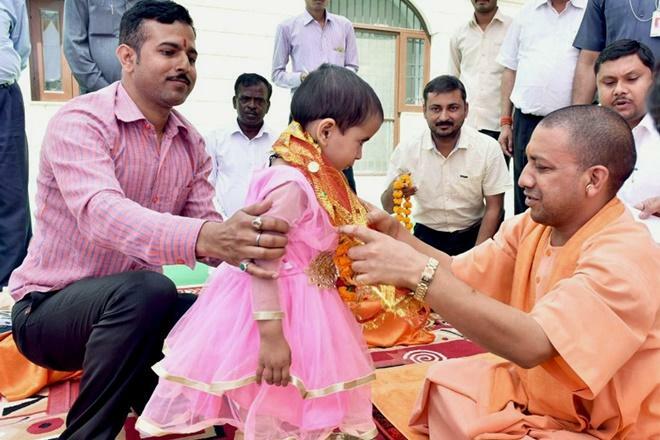 Lucknow, Jun 27 (PTI) UP Chief Minister Yogi Adityanath today unveiled a booklet highlighting his government’s achievements in 100 days even as he used the occasion to take a dig at previous governments for the lack of development. In a jibe at his political rivals, the chief minister said Uttar Pradesh lacked on the development front due to corruption and nepotism in past years. He said 2017 will be observed as ‘Garib Kalyan Varsh’. Noting that the state’s economy was agriculture-based, he said his government was, therefore, giving priority to issues related to farmers. The chief minister said cane dues of over Rs 22,517 crore were paid to sugarcane growers in the state after his government came to power. Adityanath, who barely took a couple of questions from the media, sought the cooperation of newspersons in helping him to run the government. He also highlighted the major decisions taken by the state cabinet on farm loan waiver and on toning up law and order.